You can't really win with a Volkswagen Beetle. They are terrible and slow in anything near stock guise, and the minute you start to get some horsepower into the chassis you are required (apparently by law in some places) to immediately remove fenders/engine-lid at the minimum, sometimes replacing the entire body with a poorly assembled homage to the CamEro. However, this next Beetle is different. Not only does it look vintagey and cool on the outside, but it boasts modern power and even with stock wheels/tires it will be faster than the average minivan. 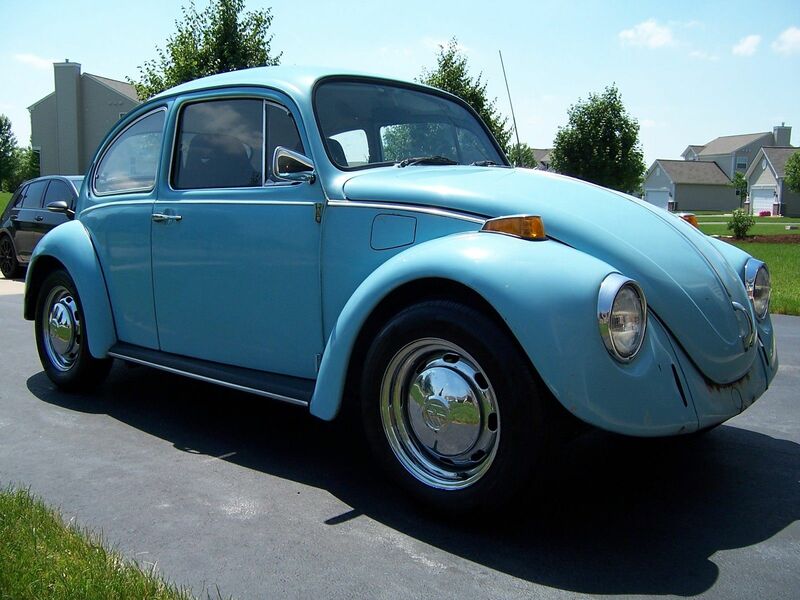 Find this 1971 Volkswagen Type 1 Beetle with Subaru EJ20T power here on eBay offered for $7,900 buy-it-now or make offer located in Carpentersville, IL. 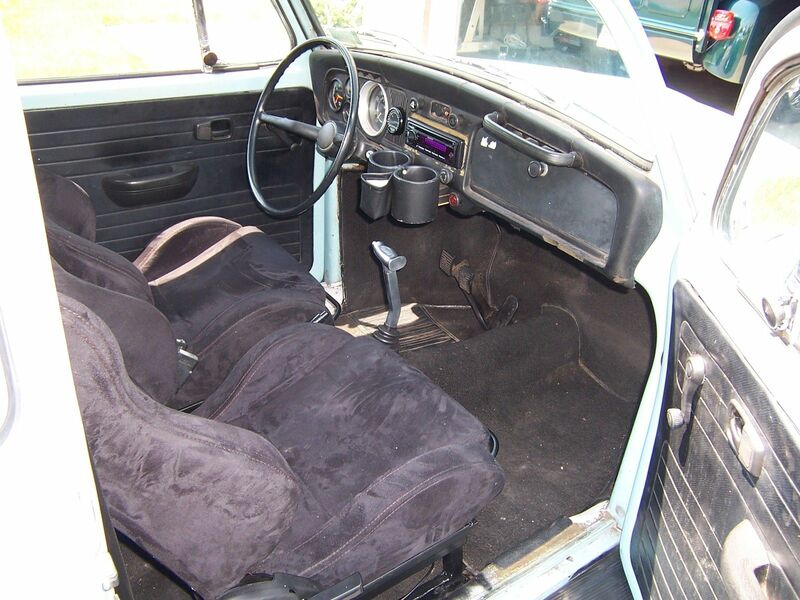 This is exactly how I like my Volkswagen Beetles. For starters, it is located in someone else's garage and furthermore, it looks stock. No attempt to Baja (have you ever known someone with a Baja Beetle to actually take it to Baja? No, they just do a little mild off-roading near a local campsite and mostly let it rot in the garage, or worse, mount some oversized Corvette wheels and a faux Rolls front end. Taking this Beetle from a drag to a drag racer is a Subaru EJ20T flat-4 engine mounted out back and fitted with a turbocharger to the tune of 250 horsepower. Riding in a stock Beetle may be a solemn reminder of terrible legacy left behind by a man named Hitler, but this Japanese powered engine shows that from the depths of a devastation war, a little island country can recover quickly to do great things. The interior boasts a few upgrades over stock, including a set of aftermarket Alcantara covered sport seats that are mounted on sliders. With all the work done on this thing to make it go fast, you would expect that the nasty looking rust on the front lip would have been addressed...but it just makes for a more convincing sleeper. Seems like a super deal if everything works as promised. 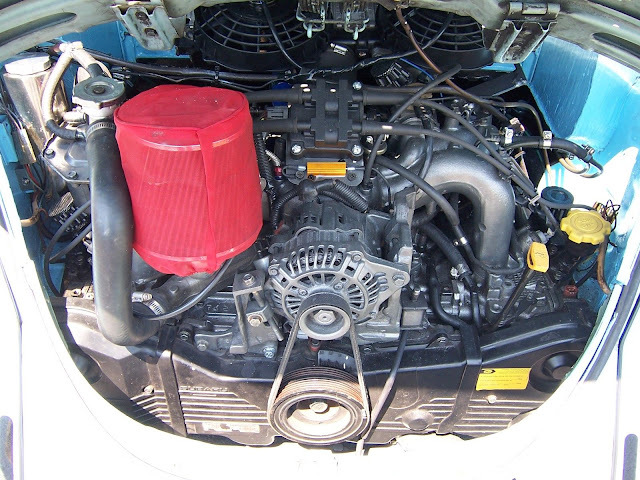 The radiator appears to be in the front trunk, completely encased in sheet metal? How does this thing get cooled? WTF THIS THING IS AMAZING!!!! No kidding, I wonder what the 0 to 60 time looks like? This would be fun, until you had to stop, or turn, or do anything else a car is supposed to do. Considering this car was designed for a maximum top speed of around 70mph, and is just as happy on it's top or side as it is upright, and now it'll do 150! What could go wrong? The super beetle was designed to cruise at 85MPH all day long. And honestly the transmission gearing will keep this thing under 100MPH even with 250hp. 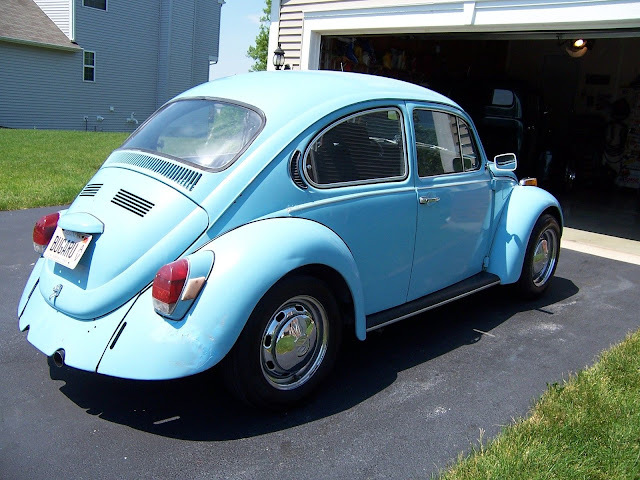 "The super beetle was designed to cruise at 85MPH all day long" with McPherson strut front suspension replacing the beam axle in the front and IRS replacing the swing axles in the rear. This however has has the old style suspension. Plus a beautiful flat windshield , which probably makes no difference either way. That body is a 7 out of 10?!? I'd agree with 7/10 on the body. The paint is more like a 2/10, though! it's gotta be poop your pants scary at the speeds it should be capable of doing. zee noise....Boss...zee noise....that is the engine, Tatoo....shutup!